"Using a checklist—you improve the outcomes with no increase in skill. That’s what we are doing when we use the checklist." In The Checklist Manifesto, author Atul Gawande, MD, MPH, explores how the use of a simple checklist can help eliminate errors in even the most complex jobs and industries. 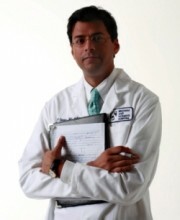 Gawande is a surgeon, writer, and public health researcher who began studying the effectiveness of checklists’ through his work at World Health Organization. Gawande begins the book by asking the question, why is it that top professionals today, who are better educated and better trained than at any point in human history, still make simple, avoidable mistakes? Mistakes that waste huge amounts of money and even cost lives. As Gawande set out to find a better way to fix these errors, he met with professionals in healthcare, aviation, and construction to learn how they are leveraging checklists to drastically avoid controllable mistakes. Throughout the book, Gawande shares with us real-life examples of how these complex jobs leverage checklists to achieve success. "If the knowledge exists and is not applied correctly, it is difficult not to be infuriated." Today, more than at any other time in human history, much of the workforce are “knowledge workers”—people working in jobs that involve using information to make decisions. Given this, people have to continuously know more and learn more if they want to succeed and thrive. Think about where both apply in your life. The challenge we now face is ensuring that the knowledge that we do have is applied consistently and correctly, which is where a checklist can be of great value. "Checklists seem able to defend anyone, even the experienced, against failure in many more tasks than we realized. They provide a cognitive net. They catch mental flaws inherent in all of us—flaws of memory and attention and thoroughness." In each of these problems, checklists can provide direction and protection against elementary errors in the process. As you’ll see in insight #2, it is important to determine which type of problem you’re looking to solve or address when considering how a checklist can help achieve the outcome that you’re after. "When you’re making a checklist---you must define a clear pause point at which the checklist is supposed to be used." Per insight #1, depending on the problem or situation that the checklist is being used for, either type of checklist could be leveraged. Gawande touches on some additional guidelines for creating effective checklists, which I want to quickly cover. The checklist cannot be lengthy (rule of thumb: keep between 5-9 items) and needs to take between 60-90 secs to run through. Perhaps the most important piece after a checklist is developed is for it to be tested in the real world. From there it should be tweaked and modified until it fits the need it’s intended to serve. The Checklist Manifesto is an engaging read that examines a simple tool which has been proven to produce remarkable results. The job of a checklist is simply to help eliminate errors and things that we have control over. Given the complexity of our jobs (no matter what field we’re in) we can all learn to leverage this simple tool. I’d encourage you to examine how you can incorporate checklist into your personal and professional lives.